The photo sharing app recently announced they now have over 1 billion monthly users, with more than 70 million photos and videos being uploaded each day. Instagram is now the fastest growing social network, surpassing Pinterest, Linkedin, Twitter, and even Facebook, which is why we’ve made it easy for you to gain Instagram followers fast with an Instagram contest. In fact, research from TailWind found accounts that hold Instagram contests grew their followers 70% faster. Popular Instagram contest strategies include asking followers to comment on a post to win, follow an Instagram account or tag a friend to enter. These are decent strategies to grow your account, but why leave all the action on one Instagram post? It’s much more beneficial to create your contest on your website and then use social media to promote it. You’ll be driving your traffic to your website and gathering valuable statistics. 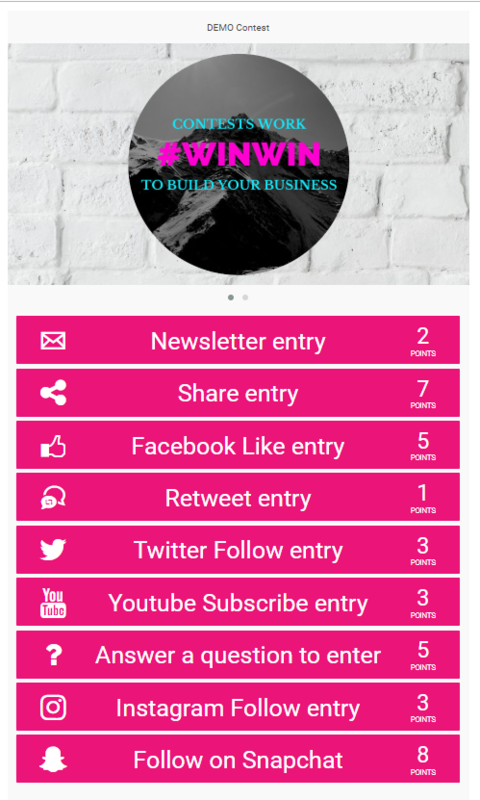 Plus you have the option of increasing email subscriptions, or building your Snapchat, YouTube, Twitter or Facebook account on the same contest. Our friends at EnterTalk Radio, Mission Engineering and Pitbull Audio gained over 9000 new followers on Instagram, YouTube, Facebook and their newseltters by using multiple entry methods with a recent contest. Follow multiple accounts: Add multiple Instagram accounts on your contest for people to follow. The more they follow, the better their chances of winning. Notifications: Send and customize notifications to your contestants if you choose. 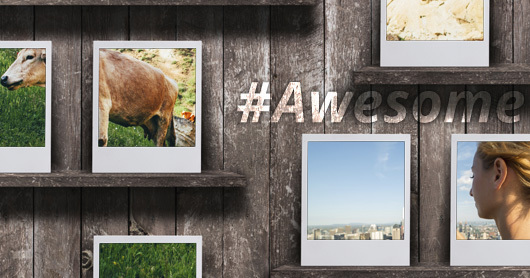 If you’re looking to created engagement or user generated content try our hashtag contests. Simply ask your followers to upload a picture or video on IG with a specific hashtag to be entered to win. You can then display all the entries on your website, and easily keep track of your contestants.